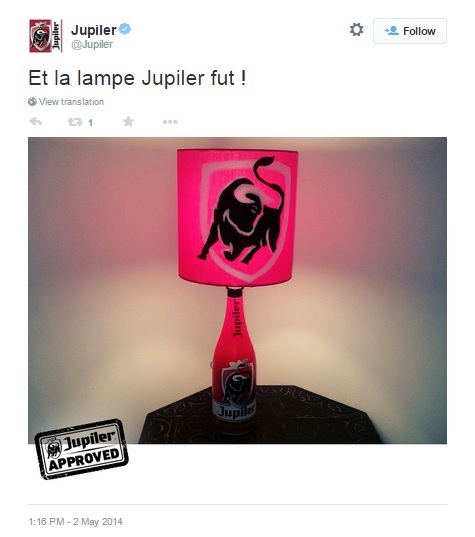 A year ago I made a Jupiler desk lamp for my boyfriend (see blog post here). And I just found out that Jupiler actually saw it, and approved it! Watch out this space for more Jupiler branded house object. I currently have a chair in the making. Next Next post: How to turn your children into Super Cats in just 20 minutes!